A Hens Pamper Party is all about getting the girls together to celebrate the bride to be before she ties the knot on her big day. Traditionally the Maid of Honour or Bridesmaids plan the bachelorette party 2-6 weeks before the wedding. Call to make a booking on 1300 700 627. We operate 7 days a week, 9am - 7pm, (last booking starts). 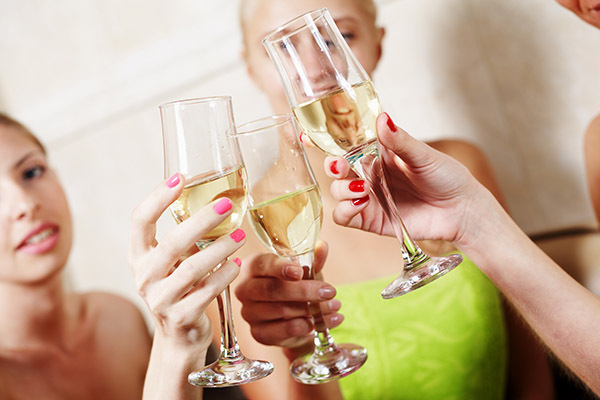 If you are the Hen or if the Hen is your bestie, cousin, sister and you have been given the job of organising a Hens event and need ideas or hens day activities, then having a Hens Pamper Party in your home, hotel or venue of your choosing can be a unique and cost-effective way to host a great Hens Party. Inertia’s team of Accredited Therapists come to you in the comfort of your home or holiday apartment 7 days a week, day or night. Our mobile pamper parties are available in Brisbane, Ipswich and the Gold Coast regions. Inertia’s Hens pamper parties in the Gold Coast & Brisbane regions offers an affordable alternative to day spa pamper days and nights. If you are looking for classy Hens night or day ideas, then look no further. We bring all the equipment required to perform your treatments including relaxing day spa music to set the mood and provide ambience for your guests. A Hens party should be an unforgettable and fun occasion for the soon to be bride to spend with her loved ones and to celebrate the upcoming wedding. We provide reliable, professional mobile therapists to offer a selection of beauty treatments for you and your girlfriends to enjoy. We have created spa pamper party packages to suit all needs and budgets. Our professional Hens pamper packages and treatments from experienced therapists range from massage, manicures, pedicures, facials, body scrubs and so much more. We specialise in group bookings and our pamper party packages have been designed to suit any group size and budget. We offer 15min, 30min and 1hr treatments. We also have a range of longer Hens day spa packages for an even more indulgent experience or as a special treat for the bride-to-be. Click here for a full list of treatments and pricing.